For 30 years, Elaina has sat in her tower, fingers caught in an eternal dance, cursed to weave the tapestry of life on her loom. Bound by an enchanted mirror whose magic shows her the distant lives of the people of Camelot, she must forever watch a land which remains ever beyond her reach. Elaina despairs that she will ever experience more than just the shadows of life, until one day, a face appears in the mirror that will change her life, and possibly her fate, forever. Guinevere is losing her mind. 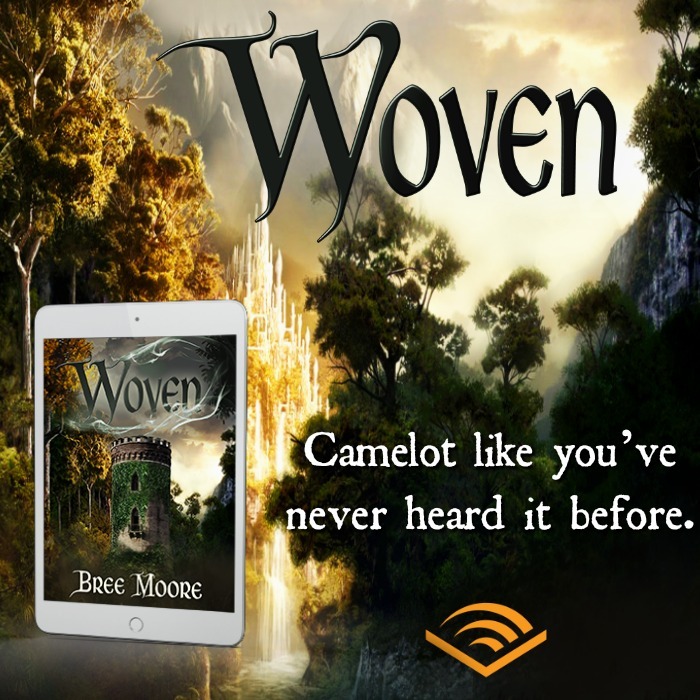 When a severe injury to her head nearly kills her and awakens alternate personalities suppressed from her past, Guinevere learns that one of them is plotting with a knight of the round table to murder King Arthur and take control of Camelot. In the midst of war, Guinevere fights to save both her own life and the man she loves, each day coming closer to succumbing to the violent personalities within her. Inspired by Arthurian legend and Lord Alfred Tennyson’s ballad, “The Lady of Shalott”, Woven spins a tale of two women who must risk everything to save those they love most into an epic of enchantment, love, and madness. 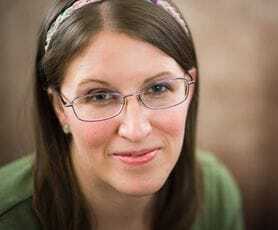 Bree Moore has been writing fantasy since the fourth grade. She lives in Ogden, is wife to an amazing husband, and the mother of four children. She writes fantasy novels between doling out cheerios and folding laundry. In real-life, Bree works as a birth doula, attending women in pregnancy and labor, which is huge inspiration for her writing. Bree loves shopping for groceries like other women like shopping for shoes (no, seriously), movies that make her cry, and Celtic music. She likes both her chocolate and her novels dark. 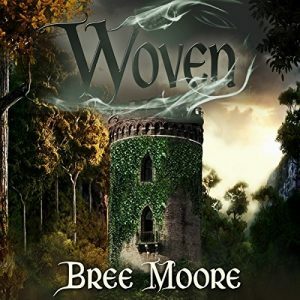 “Woven” is Bree’s first published novel, the start of what she intends to be an epic writing career. Born in the eighties with her formative years in the nineties, Rebecca’s taste in music and fashion never really had a chance. Fortunately, you can’t tell these things from her writing or voice-over work. HEr first novel, Trespasser, is as dark as her neon is bright, and you’d never guess from hearing her that she’s narrating science fiction in nothing but unicorn pants. Currently residing in London, Rebecca is passionate about travel, and has a good – albeit sometimes dubious – ear for accents. 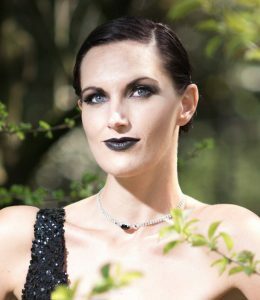 She graduated from the Royal Central School of Speech and Drama with a degree in something or other, has a background in musical theatre, a past career in burlesque, and is a classically trained opera singer. Oh, and she likes greyhounds. And wine. I love legends, particulary King Arthur and his knights! So how can I not appreciate the amont of historical aspects in Bree Moore’s book? I loved every page and I loved our main characters! It is a story in which there are only stron women and men that rely on them to keep them together. On one hand we have Elaina (the Lady of Shalott), imprisoned and cursed to weave the destinies in a tower, far from the eyes of the many. She cannot look out, she cannot hope to be saved, she must not have contact with other people or else she may die. She never loses hope of escaping her faith. She wishes her lover would come and save her but years pass and this never happens. What’s more, her memories seem to be taken away. Until one day, when a boy dares to enter the tower and vows to help her. In some other part of the kingdom, Lady Guinevere prepares for her wedding to King Arthur. An unpolished lady, with a bigger mouth than a queen should have, but with a strong character and an innocent heart. Later in the story, she faces her attraction to the king but as well a multiple personality disorder. These two legends and many more are intertwined into this beautiful book. To my shame, I did not know much about Lady of Shalott, but Bree Moore pushed me to do a bit of research. She has altered here and there some elements, but kept to the basics. Without detailing too much, I liked the book and the combination between the two women and how their stories became united. The narration was beautiful. Rebecca McKernan’s accent and her intonation, her desperation and hope were the highlights of my experience with “Woven”. All in all, I loved every page and I will cherish this book as it combines very well history with fantasy, myths with love and drama. You should give it a try! Happy reading/listening! I received this audiobook as part of my participation in a blog tour with Audiobookworm Promotions. 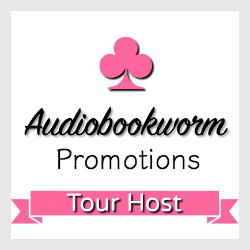 The tour is being sponsored by Bree Moore. The gifting of this audiobook did not affect my opinion of it.